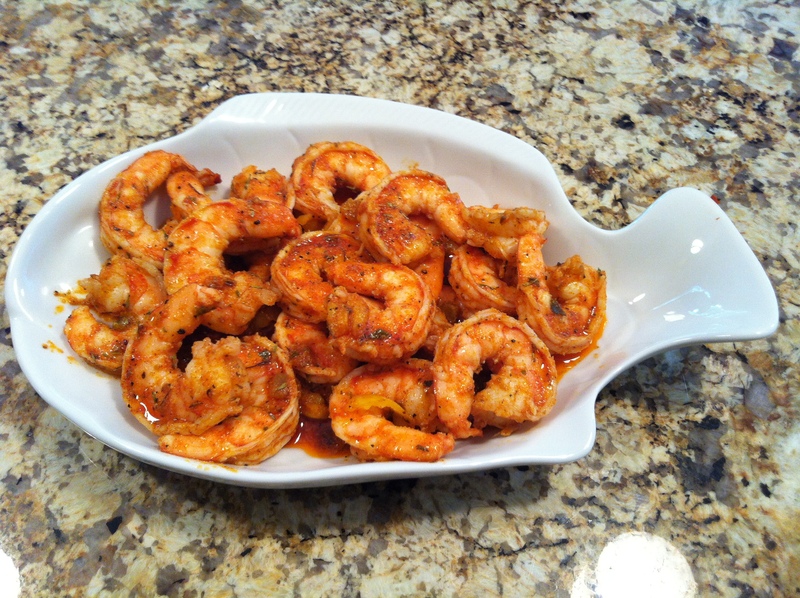 Over the weekend I went back and made some improvements to the poached shrimp in Old Bay butter. In the end I completely changed the recipe and the results were even better than I expected. 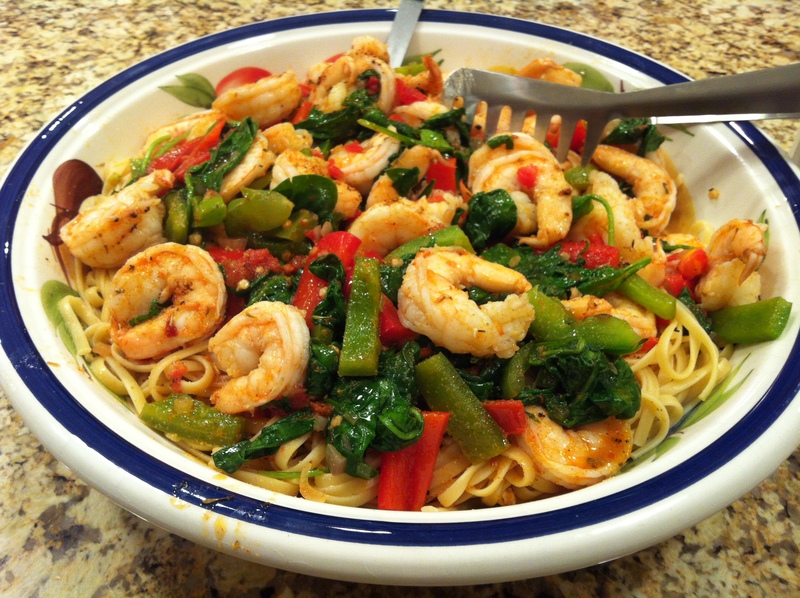 I used the same poaching method to cook the shrimp. However for the sauce I changed nearly everything. Instead of using Old Bay I switched to a Cajun seasoning, which kicks up the spice level. I also switched to a oil and butter base, which does a better job at coating the shrimp and is great for dipping bread. I also added in some chopped up hot banana peppers, an idea I came across when I ordered the Cajun shrimp appetizer at The Irish Rover Station House. 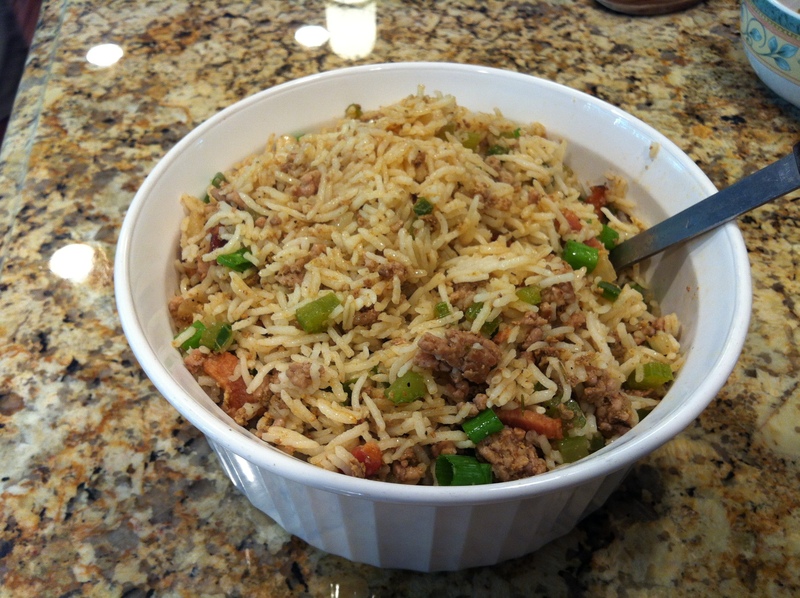 Give this recipe a try, it’s quick and easy to make and is a real crowd pleaser, Enjoy! I hope you guys are having a great Superbowl Sunday. 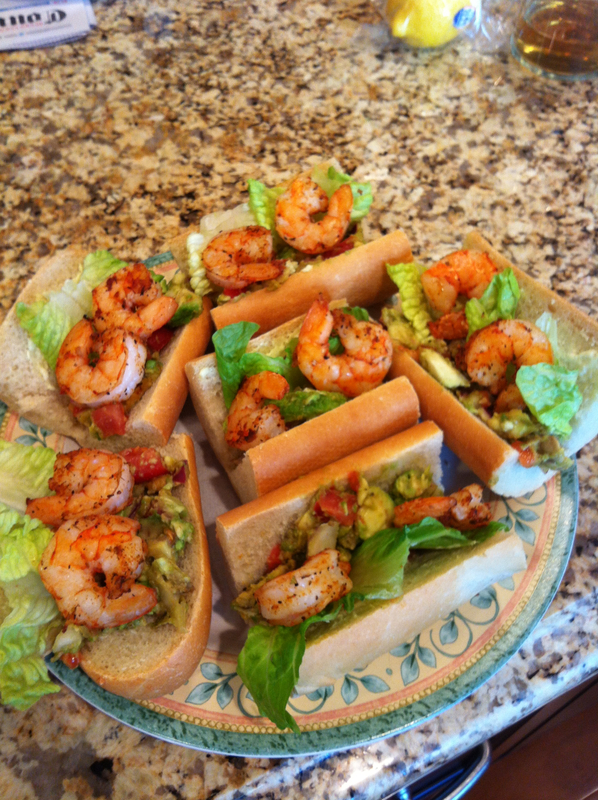 For the game I made grilled shrimp po’boys with a blackened avocado relish. This sandwich brings a great Cajun flavor and is perfect for a Superbowl party. The game is starting so enjoy and have a good evening.